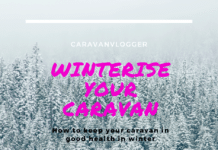 Washing a Caravan with a Waterless Cleaner . Some time ago I purchased a waterless cleaner to wash my caravan when I was onsite. Caravan And Motorhome Clubs sites at least, don’t allow you to “wash” you caravan when on site. I only assume it’s to do with water consumption and it’s probably generally antisocial to spray a hose pipe around when other people are relaxing. At least this is what I always thought, but I can’t find any specific advice about it. 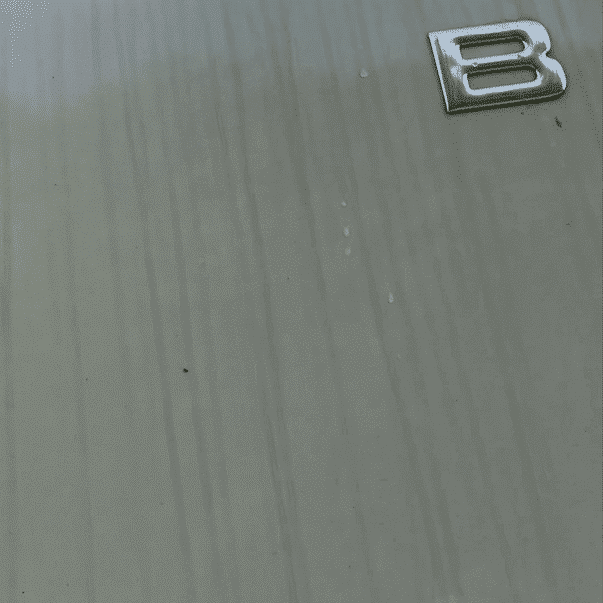 Anyway a waterless wash could be ok? 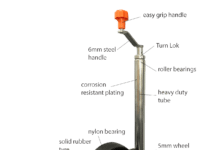 What is a waterless caravan cleaner? 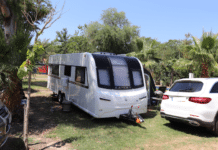 Which Waterless Cleaning Solution for a Caravan? Was the Waterless Cleaner Any Good? Well, it’s exactly what it says. You get a bottle of stuff, you spray it on the caravan rub it in, then rub it off, simple. However, I’ve used these in the past on my car. Are they any good on the car? Well, it depends. It actually depends how dirty your car is. If you’ve just been rallying and the car is covered in mud, there is no way a waterless cleaner is going to be of any use at all. You’re going to need to jet wash it first. I’ve tried it. I mean I wasn’t rallying but to look at the car you might have thought I had been. Generally when I clean the car I hose it down, or jet wash it first. Then wash it with a sponge using a certain make of car shampoo. Which one I use is mainly down to which one is cheapest at Halford. I’ve tried expensive ones, and I don’t think they’re any better. In my opinion wax is a different matter. Any fool shampoo can clean a car, why you could probably use Lynx and get the Ladies chasing you. (Sorry a bit sexist I know). So why is wax different? Well, I’ve used many different waxes, or polishes on the car and my favourite is Autoglym Super Resin Polish. 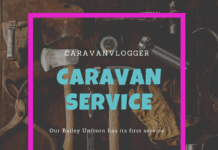 We have a Bailey caravan and Bailey suggest you shouldn’t use carnauba bases waxes. I don’t actually know why that is the case, but there’s no point in using them if the manufacture recommends against it. Autoglym doesn’t contain any. It’s a really nice polish to apply. I don’t polish the caravan every time I wash it, it’s hard enough to find the time to wash it. 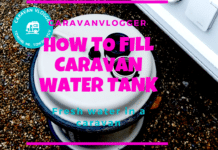 We have our caravan on the drive so we have easy access to water. But even then I have to get the hose out, drag it around to the front of the house, it’s a lot of messing about. If you caravan is in storage, or on a caravan site, how do you wash it then, somewhere that you don’t have east access to water? You could bring water with you if in storage, but really, who wants to lug around litres and litres of water? I couldn’t go wrong surely? So I bought a couple. My plan was to wash the caravan when we got down to the South of France, as it was bound to be dirty. Well, I didn’t actually get around to doing it until about 3 months after we’d got back and the blooming thing was very dirty. As you can see from the above photo, it really was quite dirty, the dreaded black streaks. 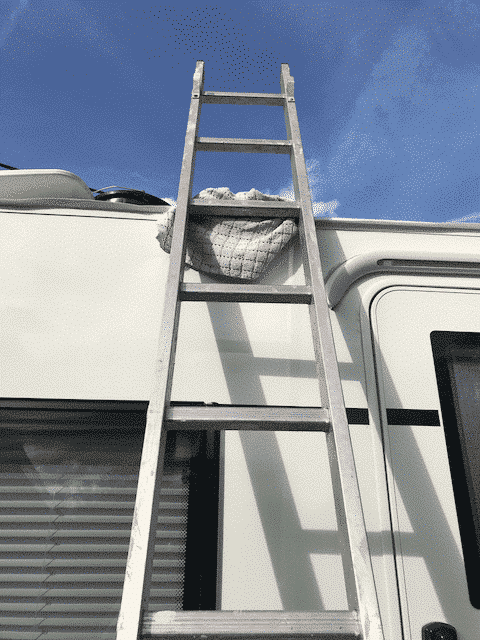 As the roof gets dirty it all slides down the back and sides of the caravan. 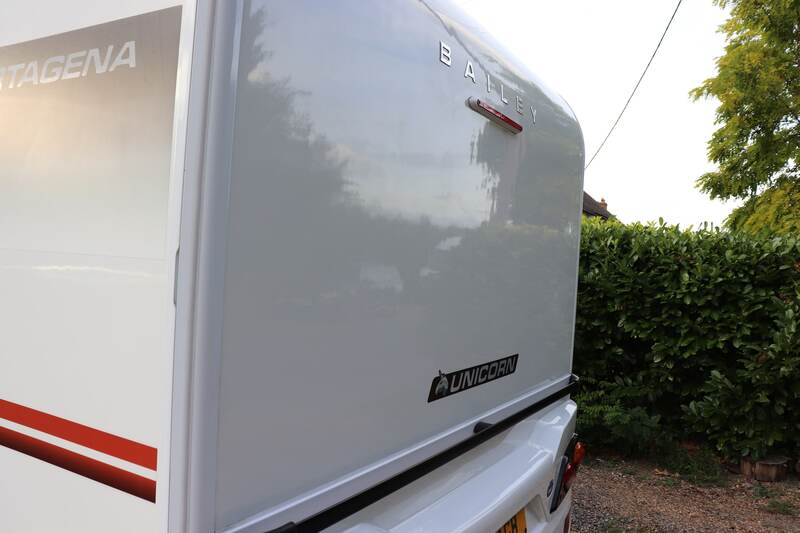 I have awning protectors fitted to the sides of the caravan, but you can’t fit them to the back. The photo above is of the back. Not to keep you hanging on like Simon Cowell, the answer is “I didn’t like it”. I loved it! It wasn’t as good as polish at getting real stubborn marks like tar spots off the front, but all things considered it was really good. I didn’t need to use the hose. I did use it on the roof, but that was my being a bit stupid and not thinking the bottle would last. I’d forgotten I’d bought 2. 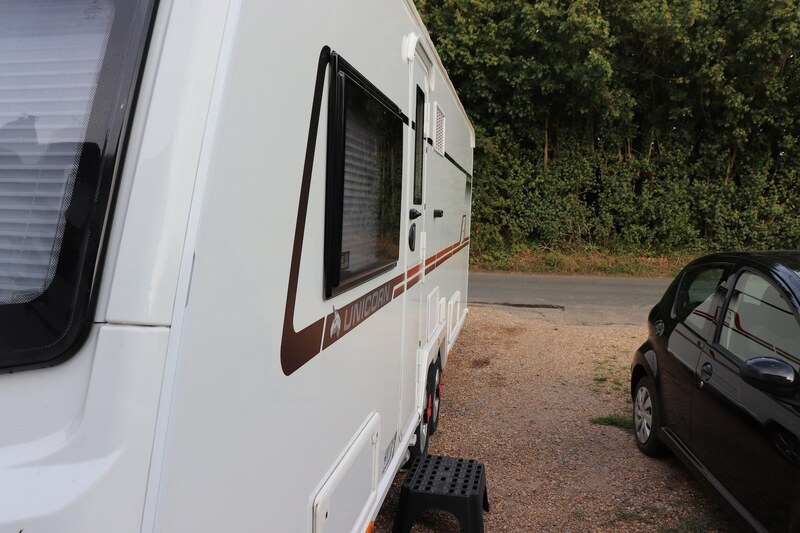 1 litre is enough for our caravan, which is a twin axle 7.9 metre long caravan. It wouldn’t stretch to 2 washes, but I had some left. 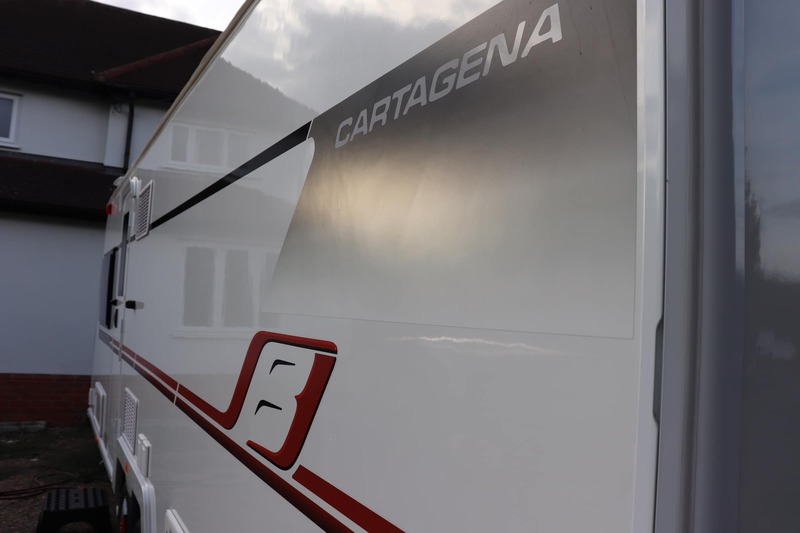 See how I used the waterless cleaner on the caravan back, sides and front. I even got on the roof without the aid of a safety net.